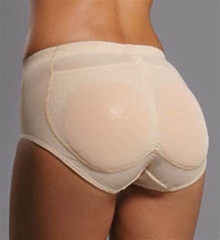 Pocket Pantie by fullness is the same pantie that comes with the Silicone Buttock Enhancement. Now you have the option to buy just the pantie. The pocket pantie is designed with tummy control and could be used with almost any foam or silicone pads. Silicone Pads sold separately.